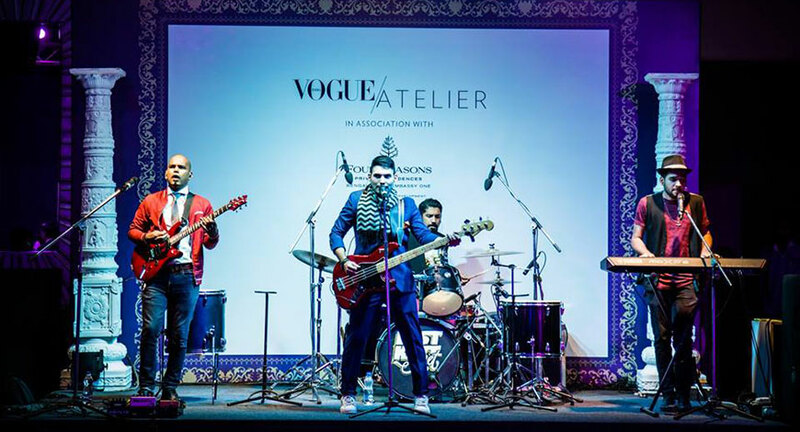 Vogue India completes 10 years this year, and to kick start celebrations, parent company Conde Nast curated a series of fashion shows, called Vogue Atelier. The invite-only shows were held across four cities – Delhi, Hyderabad, Mumbai and Bengaluru and were executed by leading experiential agency 70 EMG. The event in each city showcased a designer’s couture collection, and the guest had an opportunity to see the clothes up close and personal. The events had different themes that complemented the collections and the décor was done to suit the same. In Delhi the event took place at Hyatt Andaz, in Hyderabad at Park Hyatt and in Mumbai at St. Regis. 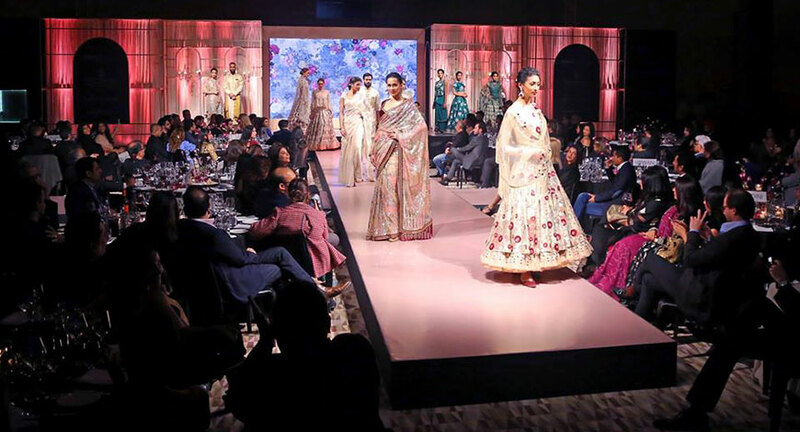 The event kicked off in Delhi with the designer Tarun Tahiliani, in Hyderabad the designers were Shantanu & Nikhil with the theme 1920’s India, vintage Indian styled pillars were used for the backdrop for models to walk against. 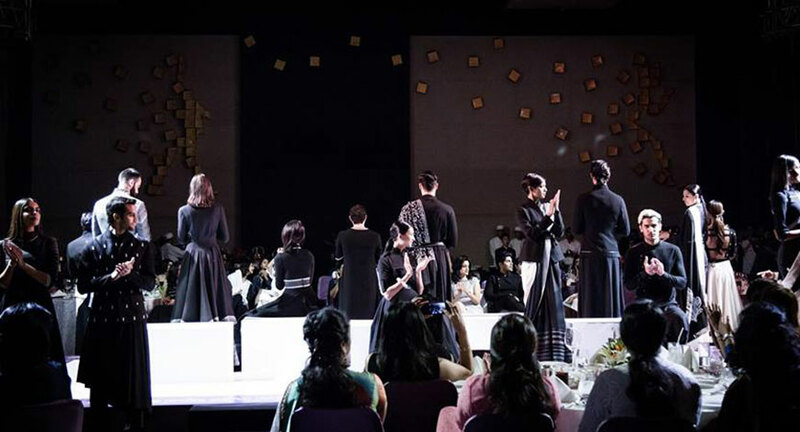 In Mumbai the event had the very eccentric Gaurav Gupta showcasing his collection and the theme was monochrome and women empowerment, each table was customized with a black overlay with women empowerment quotes in white. The event was attended by the who’s who of the social circuit; to name a few in Delhi in attendance were Kalyani Saha, Riddhima Kapoor Sahni, AD Singh and JJ Vallaya while Mumbai saw Mandira Bedi, Shirya Saran, Huma Qureshi among others.